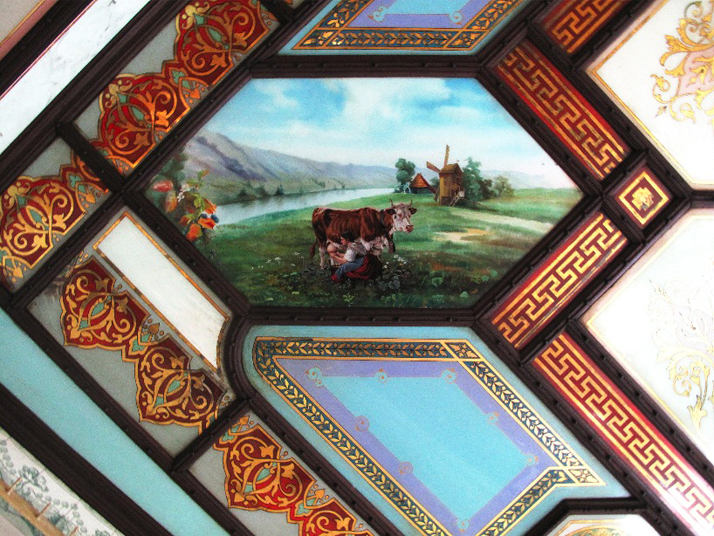 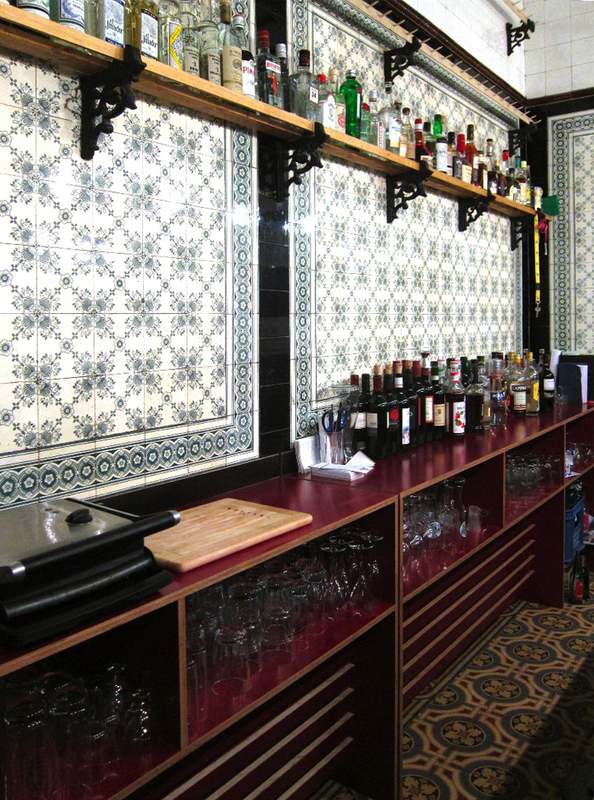 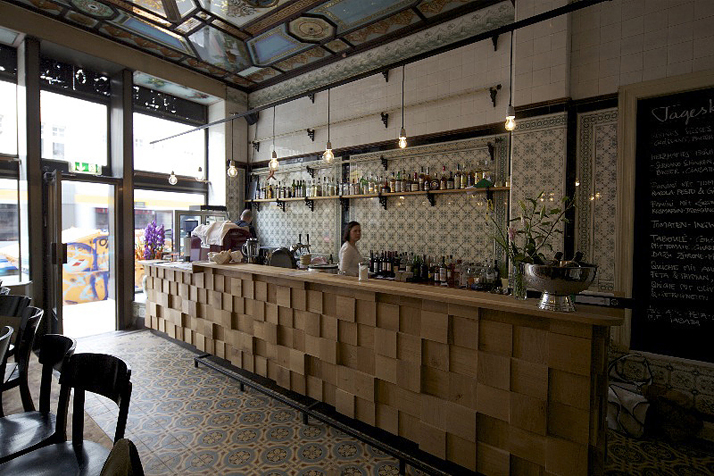 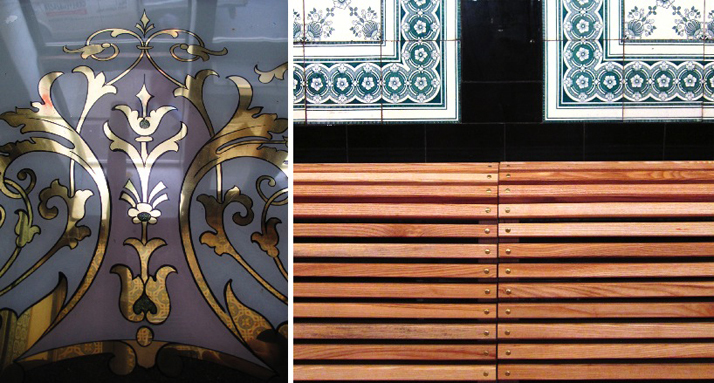 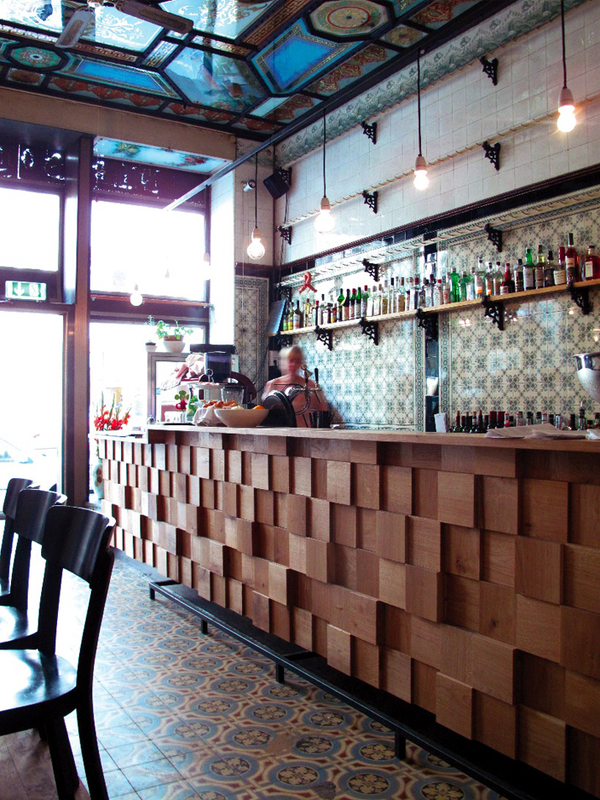 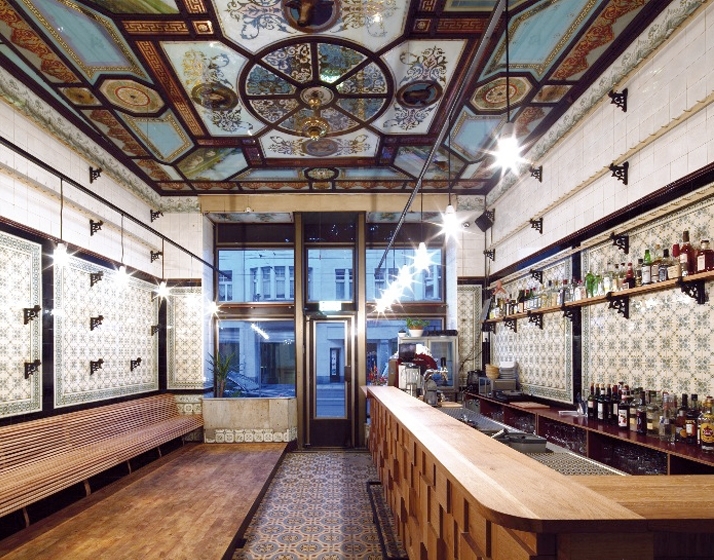 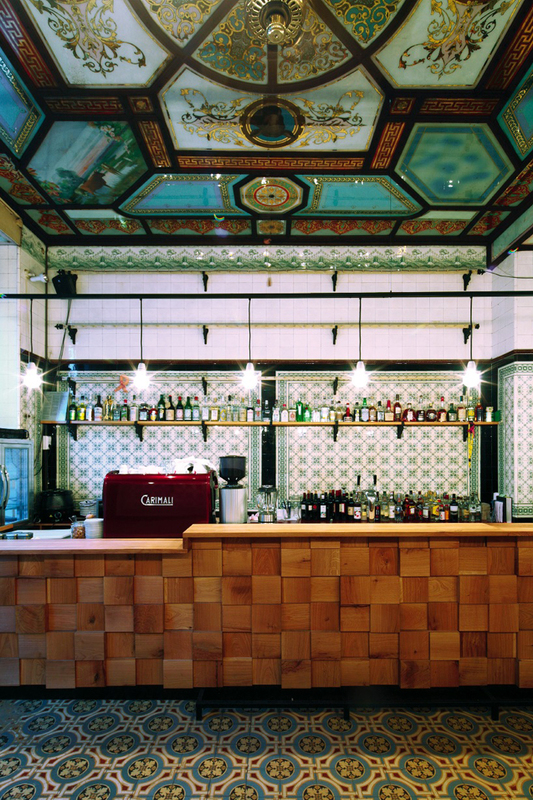 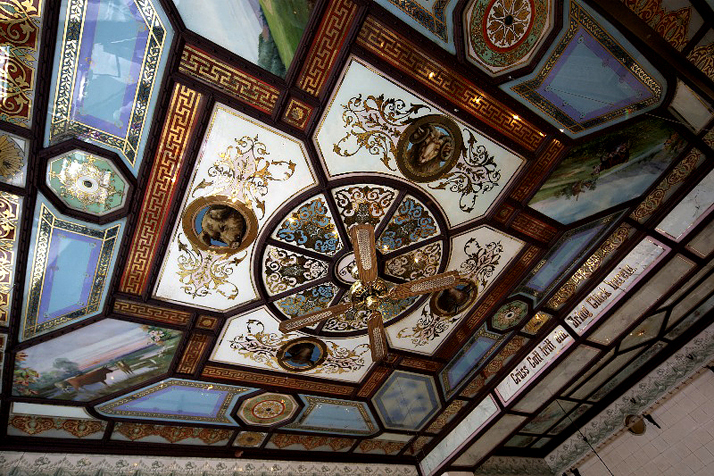 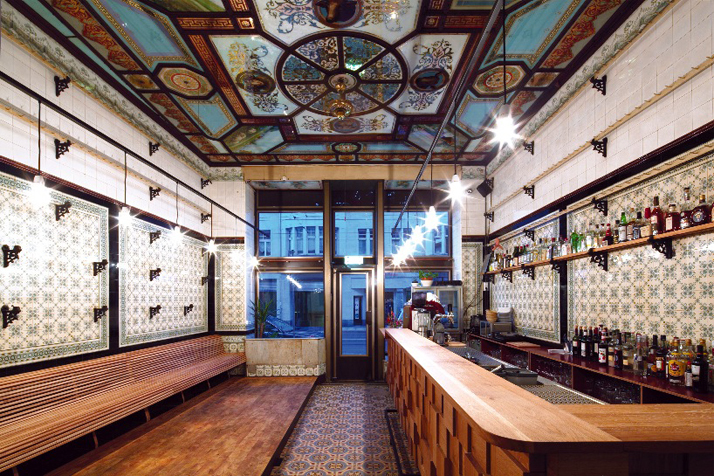 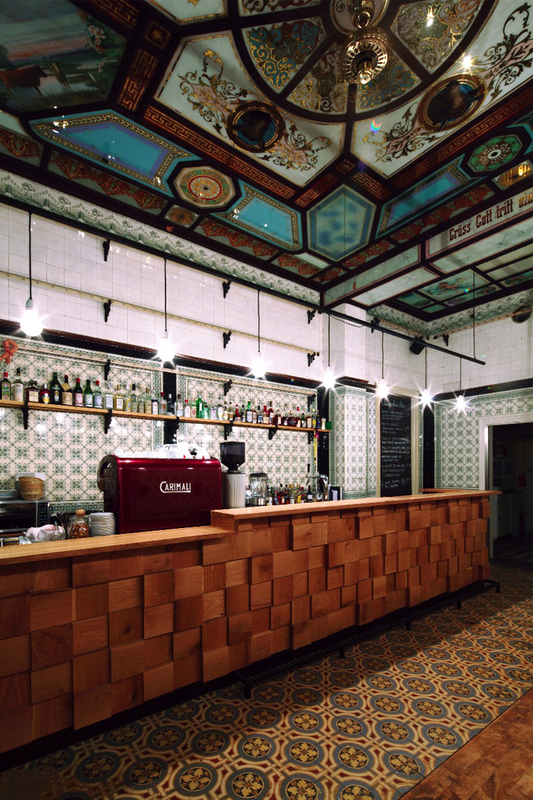 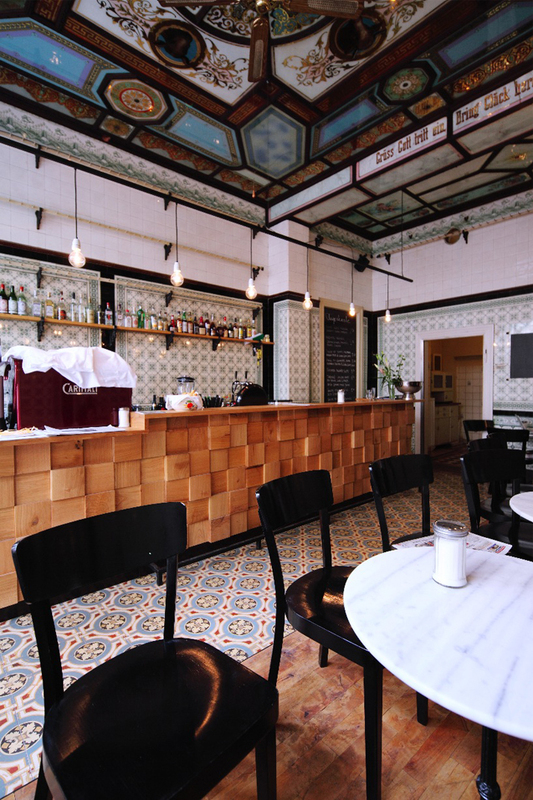 The hundred year old butchers' shop in leipzig is transformed into a highly ornate bar. 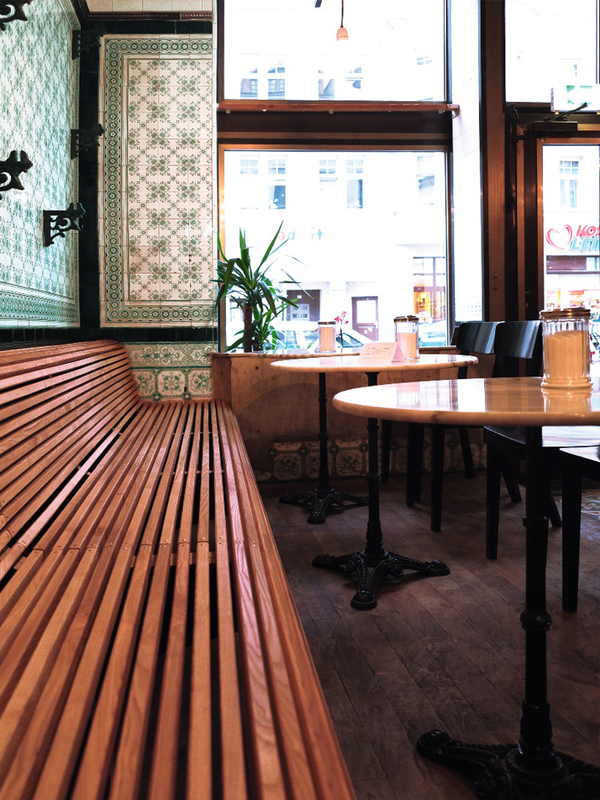 A century-old butcher's shop-as in, from the good old days when butchers apparently commissioned artists for reverse painted glass ceilings and stunning decorative tiling—that's been turned into the hippest of bars in Leipzig, Germany. 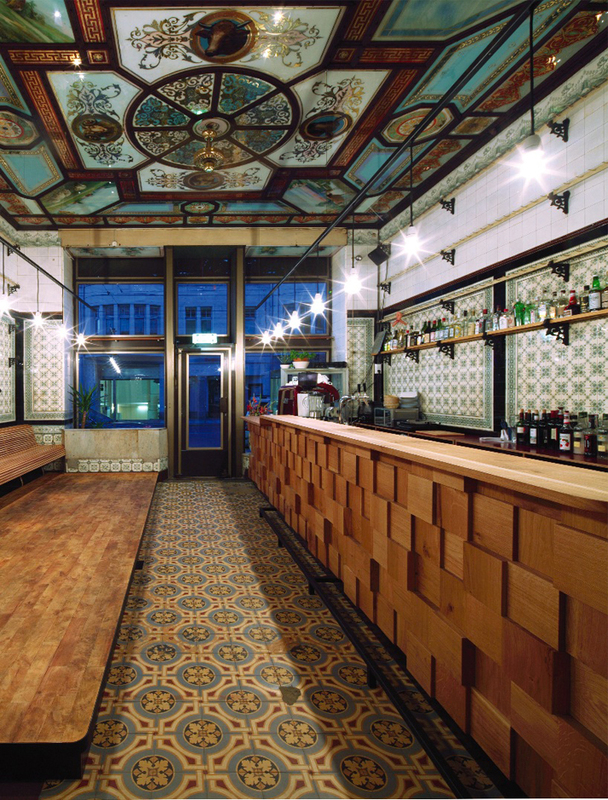 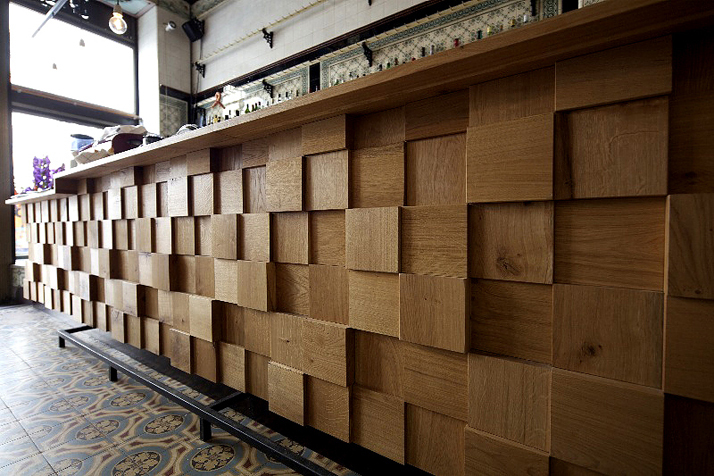 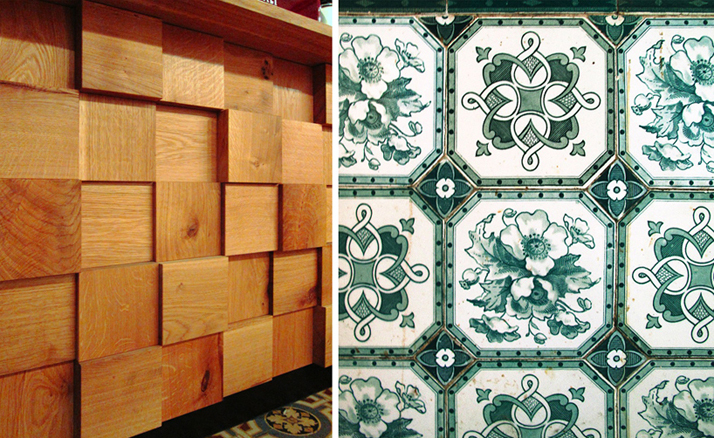 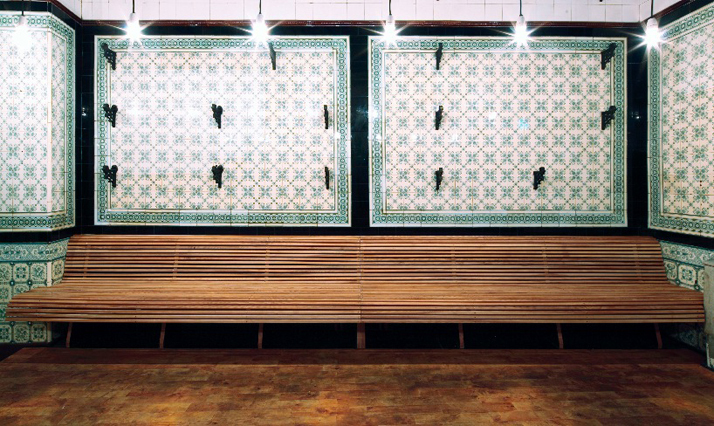 The transformation of Fleischerei Bar is the handiwork of local designer Michael Grzesiak, who brought into the space, which, by the way, is coated in original Villeroy & Boch ceramic tile, a hulking oak bar and a planked ash bench that, according to Design Boom "break with the cold butchery atmosphere".